We were joined by special guest moderator Sarena Bahad, founder of WomenInTech snap, with three top Snapcat experts MPlatco, Frankie Greek and Justin Wu who are all educated content creators and storytellers on the platform. They discussed how they got started, the ways they develop content, and how they partner with brands. They also shared their favorite tips and tricks! 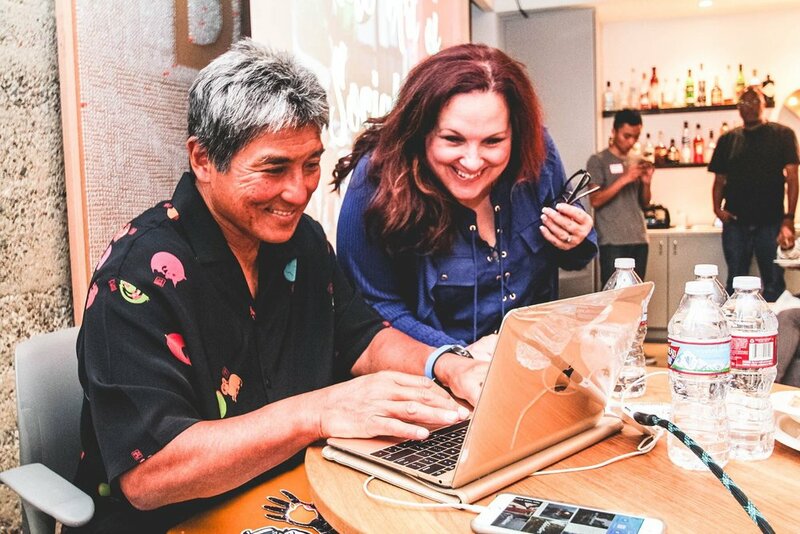 We were joined by co-authors of The Art of Social Media Guy Kawasaki and Peg Fitzpatrick as they shared their best tips for using social media live. Using real-life examples with practical applications, Guy and Peg showed how you can take your start up from zero to hero with your laptop, smartphone, and some great WiFi. Practical, tactical, and a little smart-asstical! According to Pew Research study (2015), author Aaron Smith, found that "72% of Americans have used some type of shared or on-demand online service." To better understand how the on-demand economy has grown, Gone Social SF brought together the brightest stars from five innovative companies to share their unique perspectives. 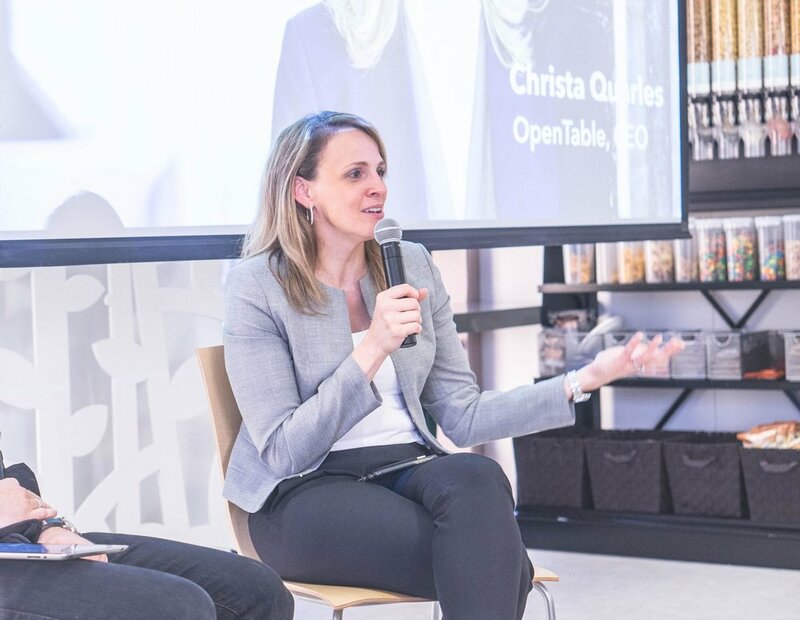 Thrilled to be joined by Christa Quarles, OpenTable CEO and leadership expert, who will be sharing about career progression, tackling new roles, and work-life balance. Inspired by her love of shopping and fashion, Bay Area native and top fashion influencer, Anh Sundstrom, will be joining us for our next event. She will be sharing her journey from launching a successful blog, 9to5Chic and the many learnings along the way. An all-star panel comprising of Airbnb, Lyft, Yelp and Peek came together to discuss how they are revolutionizing the travel tech industry. With over 350+ people in attendance and 1,000+ watching live, we got an inside peak into how they see technology evolving the way we experience travel, how they stay top-of-mind with consumers, keep ahead of travel trends and much more. Camille talked about how companies can tell their stories in compelling and effective ways through different content channels. Content marketing may be a buzzword these days, but it's extremely broad and often leads startups down the wrong path. Four amazing panelists joining us to talk about key emerging trends that are shaping the marketing, social and PR industries in 2016. Bryan spoke about how the SF Giants deal with and leverage real-time social media, as well as sharing some tips in terms of community engagement and virality. Josh and Kyle shared various methods of addressing support issues and scaling social support internationally. Emily discussed the importance of visuals in social media and the strategies that VSCO are implementing that are helping to drive success and growth. Shanee presented tips on how to use Facebook and Twitter ads to move prospects down the funnel, along with tips for creating a content campaign with ads, building custom audiences, (using Facebook advanced editor, Twitter ad platform), partnering with email marketing and web, and finding metrics. Erica shared some of her expertise, specifically around the marriage of social media and community. Jason is the author of the Amazon #1 Best Seller Welcome to the Funnel. He leads global content and social initiatives for LinkedIn Marketing Solutions helping marketers understand how to use LinkedIn to achieve their marketing goals and deliver real ROI. Caty curated an in-depth group discussion about building communities through social media as well as the dangers of when it all goes wrong. Communicating with product and disseminating data and feedback from users. Panelists: Kae Hondorp (Social Media Editor @ Lyft), Amber Pacheco (Social Media Support @ Carbonated.TV), Christine Cassis (Social Manager @ Pinterest) and Red Gaskell (Social Manager @ Everlane). We heard from community experts, deep dive into what it takes to build a thriving community, and well as some of the core tactics that continue to work for them. Utilizing social media to guarantee your events are a hit! 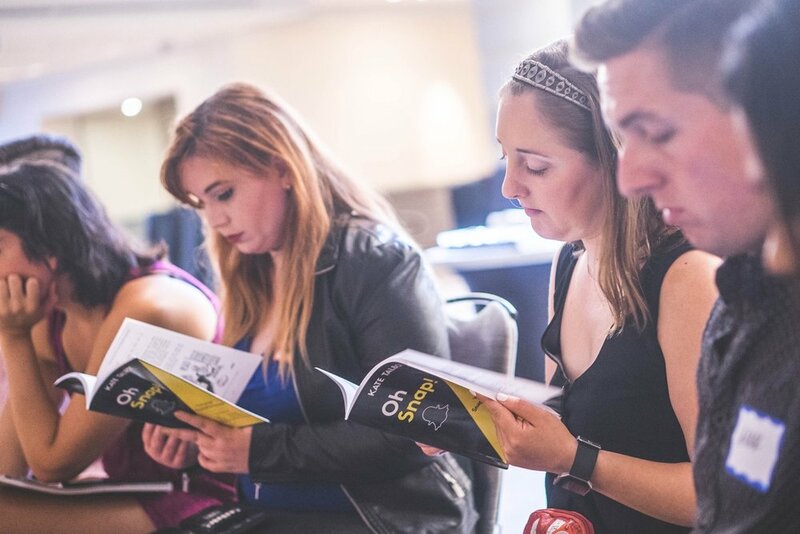 Both Nadia and Emily spoke at length about some of the different strategies, tools and concepts they have found that leverage the power of social media to help promote and grow offline events.